Welding. 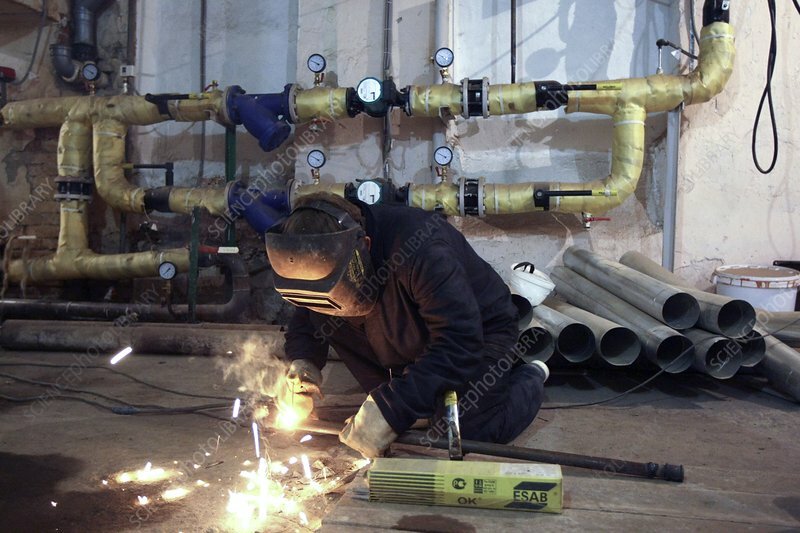 A plumber using an electric arc welding kit to join a fitting to a steel pipe. Most practitioners would suggest holding the work pieces in something other than the hand due to the danger of injury.